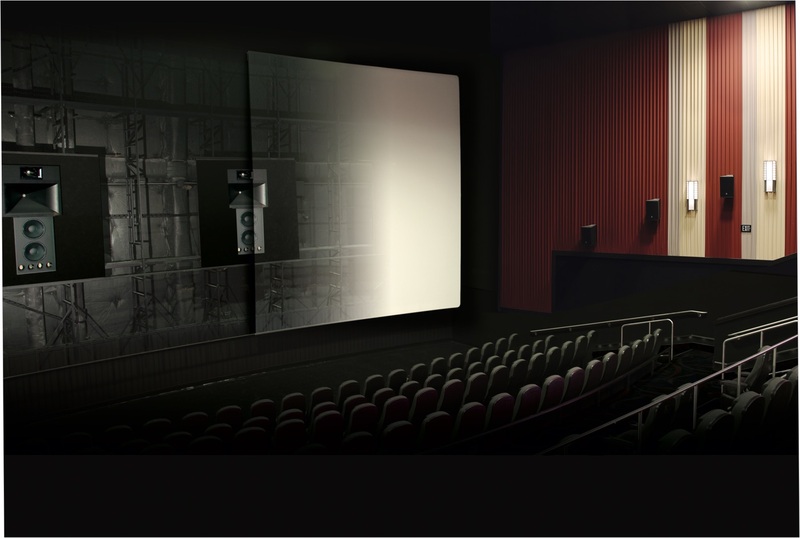 When you're already at the top of your game, being the "go-to" company for top clients such as Cinemark and Regal theatres, what steps do you take to improve your marketing efforts and pick up new clients? You hire a professional company to refresh your brand, clarify your message, design award-winning print collaterals and event displays, then bring everything together by developing a highly visual responsive site. 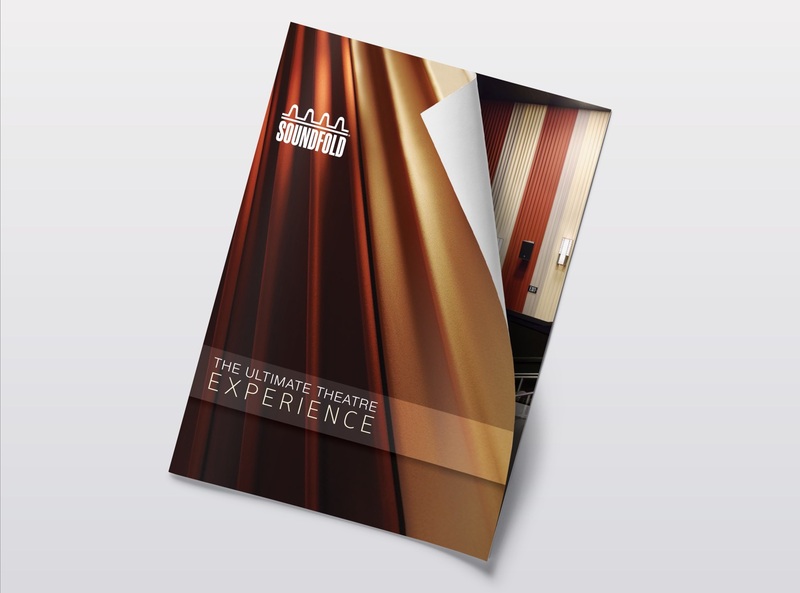 Soundfold is the industry leader in Theatre interior products. 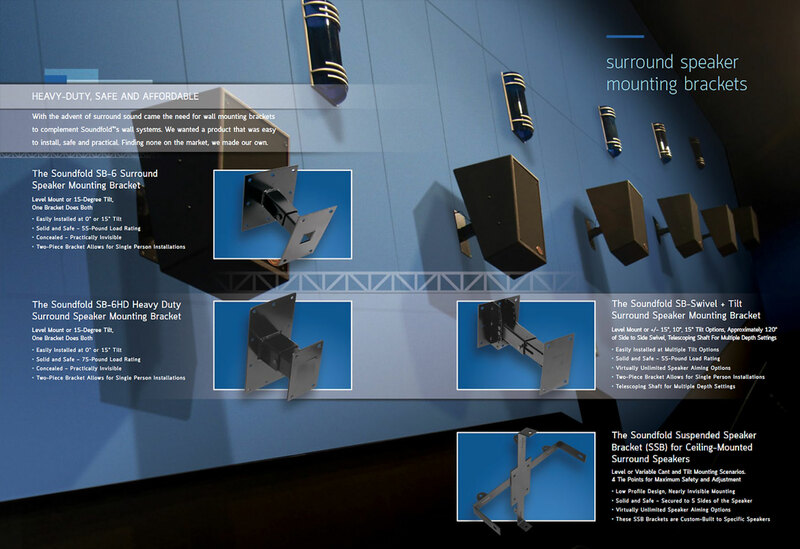 Acoustical pioneers with the patents to prove it, the team at Soundfold continues to evolve with the times. 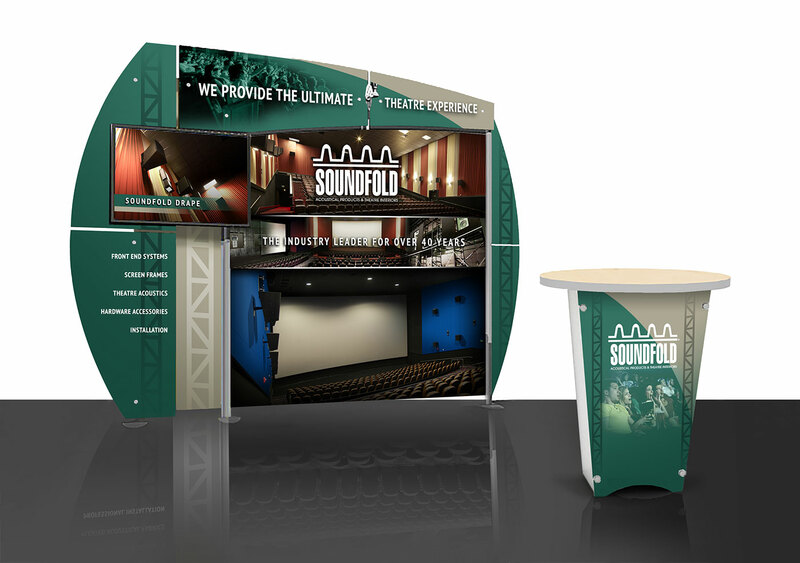 Operating mainly on word of mouth for over 45 years, Soundfold realized that their marketing efforts needed to evolve as well. They initially came to us with a simple request to redo their aging website, and ended up with more than a few other substantial marketing upgrades. Getting up to speed with Soundfold was totally entertaining. From day one however, we all knew this project would be on the fast track and we had to be quick learners. We first met in February to discuss building a new website in time for April’s CinemaCon show in Vegas. 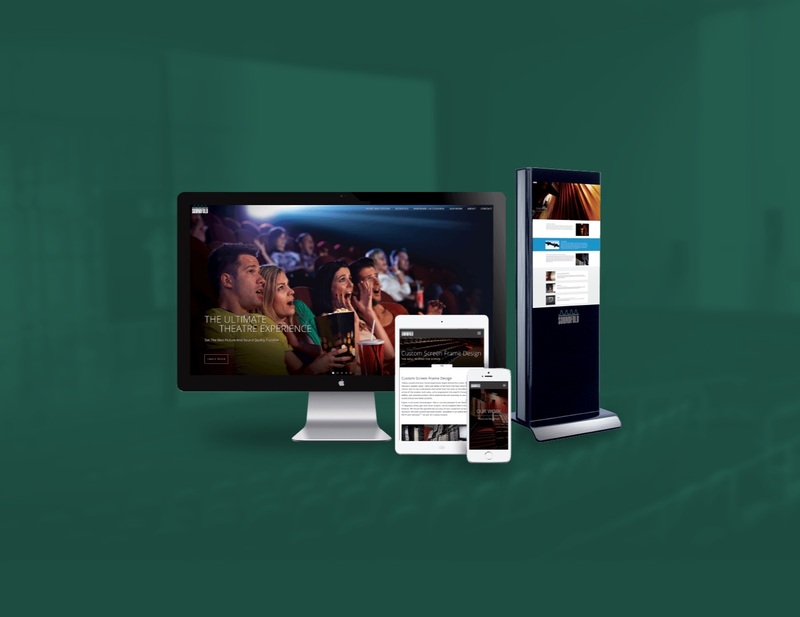 We evaluated their existing marketing assets, and quickly realized that in order to pull this off in time for the show we’d need to pull out all the stops. While discussing our client’s long-range marketing goals, we felt compelled to propose a few other deliverables (in the same timeframe of course), such as: a brand identity refresh, a full color 16-page brochure, several product sheets, and a new tradeshow booth that contained a large mounted digital display with pictures of completed theatre installations. 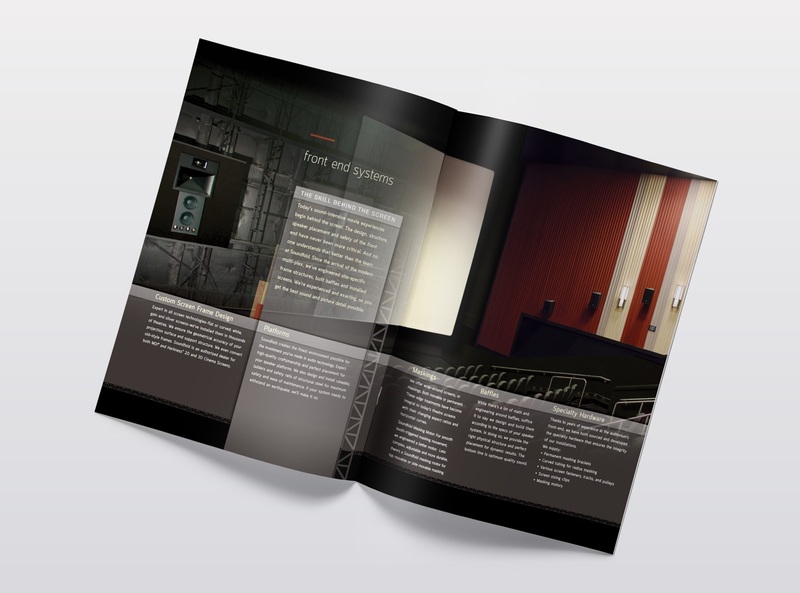 We immediately knew that we wanted all of the new marketing materials to have the same level of excitement and enthusiasm that we felt when looking at photos of their breath-taking theatre installations. 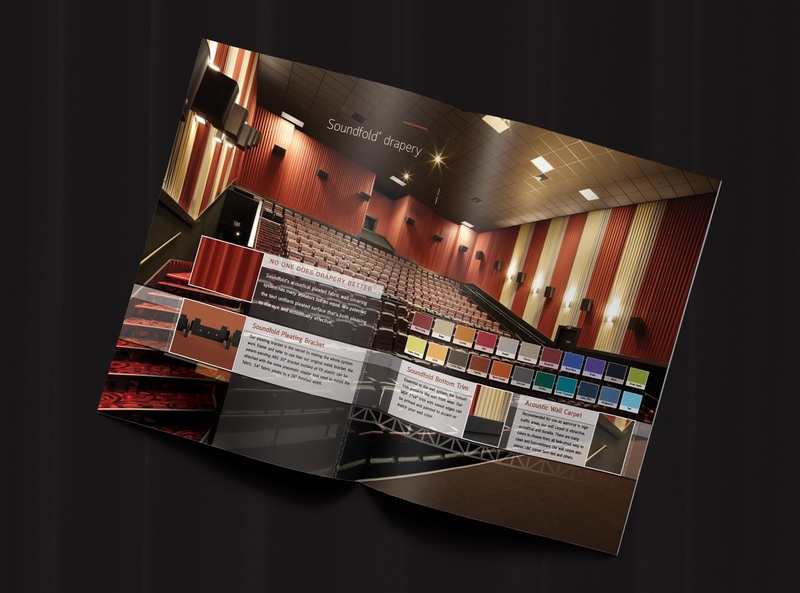 Knowing that the creative design on this project would be critical in establishing the visual interest, we scheduled a series of photo shoots at theatre locations around the country. While our designers were busy refreshing the company’s brand image and creating concepts, sitemaps, and wireframes, our professional copywriter was meeting with the client to develop the all-important content. Acquiring new photography and writing copy that could be used for a wide variety of deliverables, in the same condensed timeframe, actually ended up saving costs for our client. Due to the amount of time it took to obtain the photos and other media elements, the only concession we had to make on the project in order to deliver everything by early April, was to initially release a slimmed down but still quite impressive version of the site. 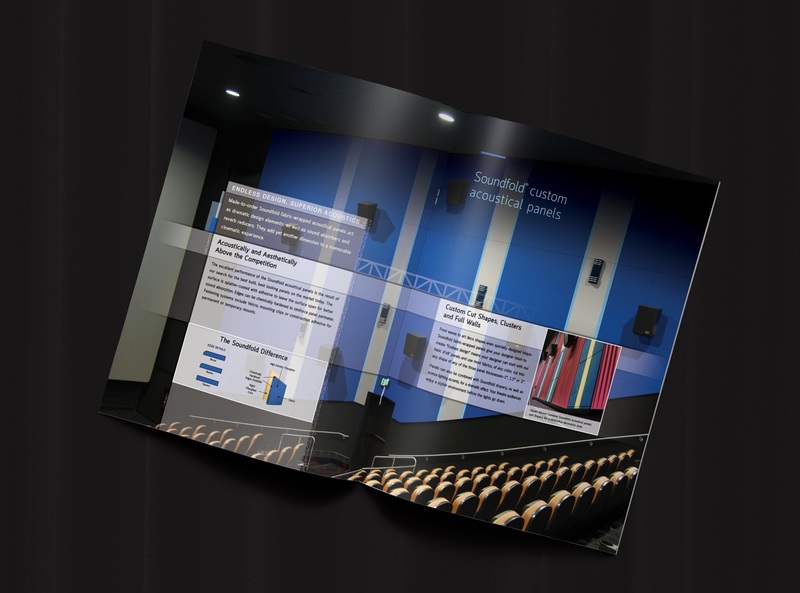 The brochure ended up being an award-winning piece, and the new trade show booth made quite an impression at our client’s CinemaCon booth in Vegas. The full version of the site, constructed in WordPress, launched shortly after the show. We were certainly stoked to have had the opportunity to serve Soundfold on this and other projects. Their desire to make a bigger splash in the industry, their willingness to pull out the stops and do what was needed to create some awesome marketing materials, and the enjoyment we had while working together, made this an amazing project to be part of.